The most important item is the knife, and I like this razor knife from Rigotti. The knife is nicely balanced and easy to use, and it is soft enough to sharpen easily and hard enough to hold its edge. It’s also extremely affordable compared to other professional knives. You’ll need a cutting block and a plaque (get several, because they get lost easily). A mandrel and a spool of FF thread should be all the items you need to get started. Well, and a ruler with millimeters and a pencil, but you don’t have to shop at an expensive double reed store for those. Most of these are affiliate links to Amazon.com – it’s convenient for everyone and Amazon pays me a tiny commission when you buy. But the others go to Nielsen Woodwinds, because sometimes you really need a dedicated double reed shop to get what you need. My favorite sharpening stone is from Spyderco, and I’ve included that Amazon link below. 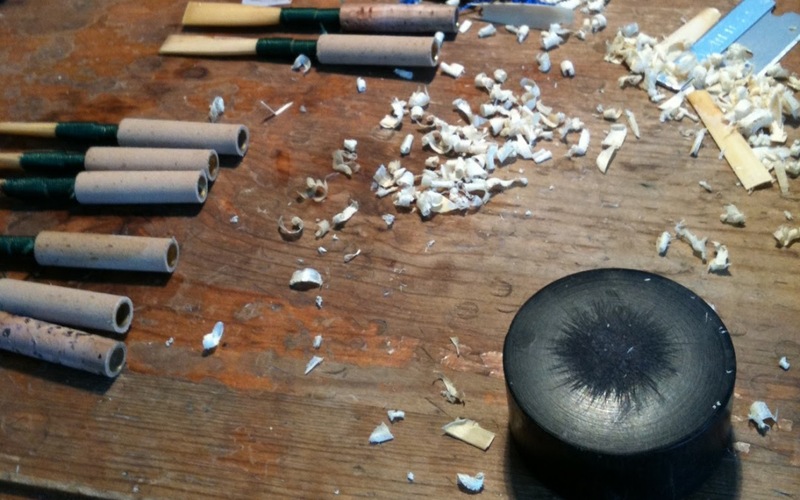 Of course, as your reed-making becomes more advanced, you will want to experiment with shapes and with gougers. My current favorite shapers are from Adam Shaper Tips – the Caleb-1, Samson+1, and Ruth-2. I use an Innoledy gouging machine, and a Ross gouger for English horn.